Joanna Gaines has made modern farmhouse and highly-sought out style. It's casual, comfortable, lived-in, unpretentious and versatile. 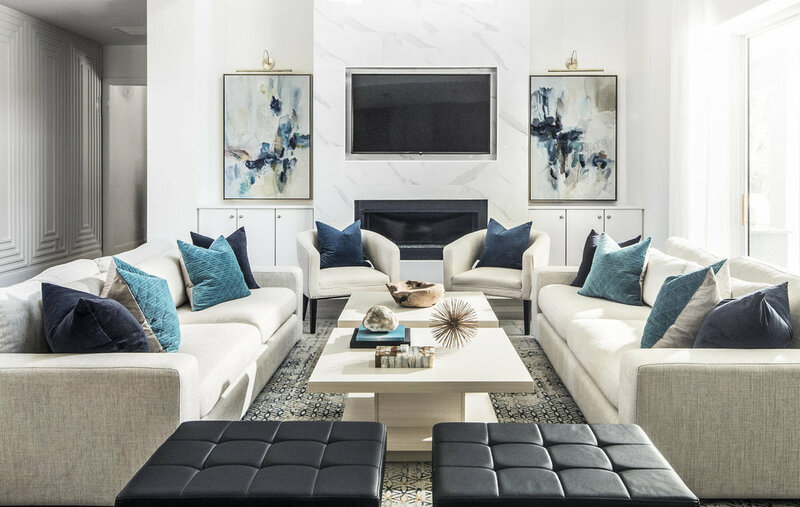 For families with kids, it allows mom to have a space she feels looks finished and stylish while also being able to incorporate function for her family. So we're here today to highlight this fun style and explain exactly what factors you should look for when implementing or identifying the modern farmhouse style. One of the biggest parts of modern farmhouse is the wood elements scattered throughout. If your home has wood beams, that's a huge modern farmhouse element. These are reminiscent of old barns and exposed trusses and give a home a warm element. The kitchen is a huge part of tying the design style together in any home but a modern farmhouse kitchen is truly the heart of the home. A modern farmhouse kitchen is well-used and well-loved. It's not pristine. matchy-matchy, and perfectly tailored. It's a little eclectic and exposed. Open shelving is common element in the modern farmhouse because your grandmas cups should be on display! Modern farmhouse kitchens have a variety of cabinet colors in the kitchen but whites and navys are used most often. It wouldn't be a farmhouse without a barn door. 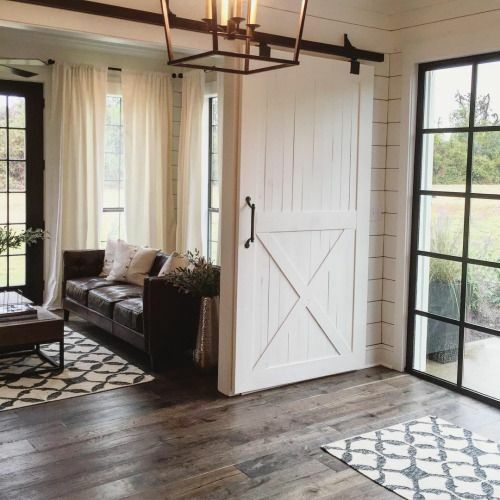 And since barn doors can be added at any point, it's an easy element to include even if you're redecorating your house to make it look modern farmhouse without doing a lot of remodeling. The great thing about barn doors is that they come in a variety of styles, colors, and sizes so it doesn't take much to find one that will work in your home. Finally, woven furniture and accents are another essential element when decorating a modern farmhouse style home. Rattan and sea grass area all over the furnishings market in the version of chairs, lights, baskets, and even door fronts. You'll have no shortage of options to incorporate into your home. What do you think? Are you ready to re-decorate your home in the modern farmhouse style? It's really not that hard! We promise! 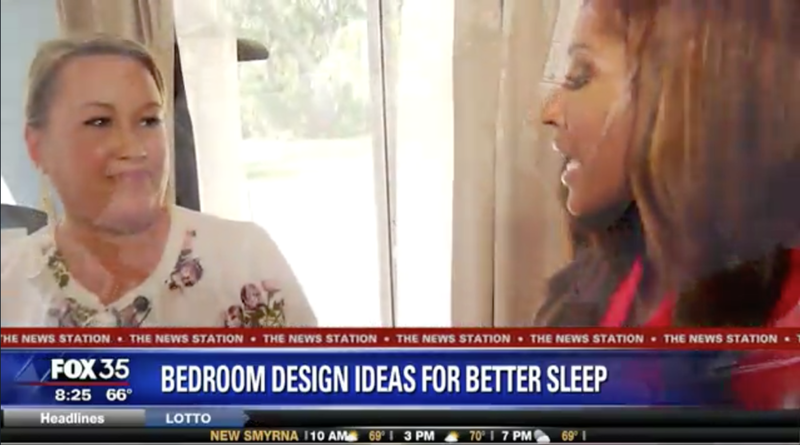 We recently started working with Fox 35's Good Day Orlando to do some sort segments on design. The first two segments featured quick tips on how to update a space without spending a ton of money. The first was a bedroom where we were able to swap out and update simple items to give it a more serene, relaxing feel and the second was a family room that needed to be "fluffed" for holiday entertaining. It's been so great working with Danielle and the team at Good Day Orlando and we are so excited about this partnership! The links to both episodes are below. The most recent segment featured our WJ model, The Brantley in Lake Sylvan Oaks. We featured this in an earlier post because, even though it was a model home, it was the most custom model home we've ever done and turned out amazing! It was even entered in this year's Parade of Homes! Be sure to check it out!